To established and aspiring authors alike, November is known as National Novel Writing Month. The idea behind NaNoWriMo is to end November with a draft of a novel. 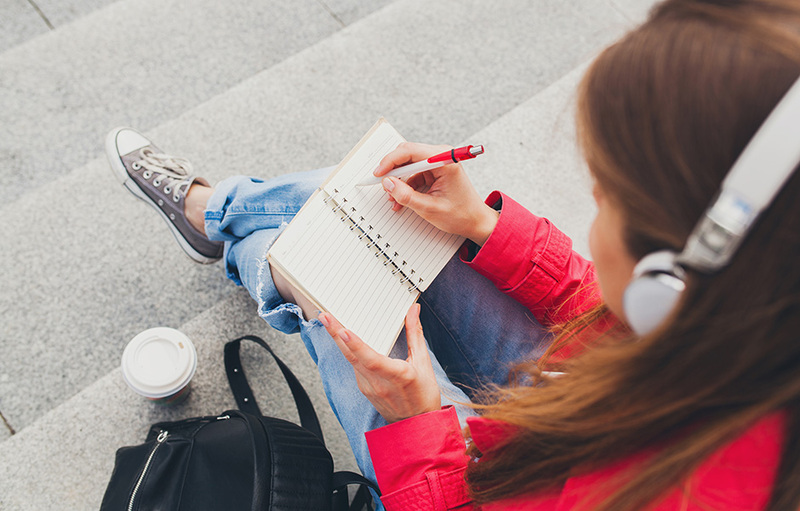 Because writing isn’t easy (and, yes, writer’s block is a real thing), we’ve selected five audiobooks, by well-known authors, that will motivate and inspire you to put pen to paper. Author of several bestselling fantasy series, Terry Brooks shares his secrets for creating unusual, memorable fiction. This reflection on writing spans topics from the importance of daydreaming, to the necessity of writing an outline, to creating believable characters. National Book Award winner Colum McCann shares fifty-two essays on writing. He is fierce and honest about the bruises delivered by writing as both a profession and a calling. This book charges aspiring writers to learn the rules and even break them. With an array of anecdotes, Pat Conroy explores his love for reading and how it shaped his life. For him, reading is not simply a pleasure to be enjoyed in off hours or a source of inspiration for his own writing. It would hardly be an exaggeration to claim that reading has saved his life, and if not his life then surely his sanity. From the best-selling author and National Book Award winner come two extended excerpts from her never-before-seen notebooks. They offer an illuminating glimpse into the mind and process of a legendary writer. A short and entertaining book on the modern art of writing well, by New York Times‒bestselling author Steven Pinker.